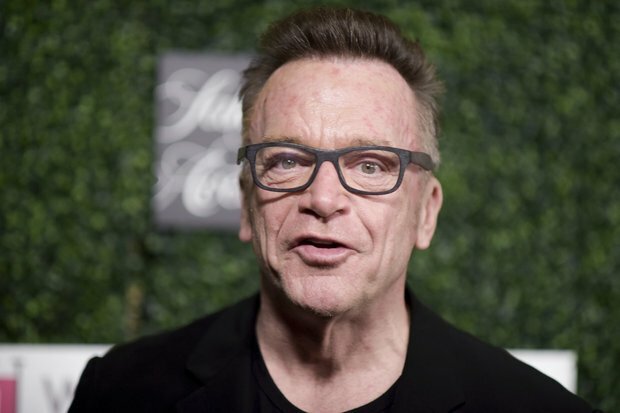 CLEVELAND, Ohio — Tom Arnold, the actor and self-professed “Hollywood liberal ,” says he plans to host a fundraiser for Republican Ohio Attorney General Mike DeWine, an all-but-certain candidate for governor in 2018. Tom Arnold, perhaps best known for his role in the 1994 action flick “True Lies,” announced his support of DeWine via Twitter early Tuesday. Inspired by DeWine’s efforts to fight opiate addiction and trafficking in Ohio, reached out to the DeWine campaign in recent months. Arnold has struggled with drugs, including painkillers, throughout his life. Arnold has helped raise money for mental health and addiction treatment in his native Iowa, among other charity work. Dave Luketic, a DeWine political consultant, told cleveland.com there is no date or time yet scheduled for a fundraiser with Arnold. “This is an issue that’s very, very close to Mike DeWine’s heart, and he’s worked a lot on it,” Luketic said. “… I think it speaks to his elect-ability and his leadership. That you have people even like a Hollywood liberal who’s willing to come over and support a guy because they see he’s doing good things. DeWine is not the first Republican Arnold has supported. According to media reports, Arnold gave $1,000 in 2003 to Republican Arnold Schwarzenegger. Arnold’s “True Lies” co-star who was running for governor of California that year. Federal election records also show Arnold gave $1,000 in 2004 to Democrat John Kerry’s presidential bid. Mike DeWine, a former U.S. Senator and county prosecutor who been Ohio’s top law enforcement official since 2010, has not yet officially declared his candidacy for governor. His interest in the position however, is well documented. DeWine has been scheduling appearances across the state as he prepares to run. DeWine is not the only GOP 2018 gubernatorial prospect to get backing from a left-leaning celebrity in recent weeks. Musician Jon Bon Jovi recently took a few minutes to stop by a March 19 Cleveland fundraiser for Rep. Jim Renacci at Quicken Loans Arena, the site of a Bon Jovi concert that night.